I’ve added a page for the Korg DSM-1 upgrade that I’m researching / developing. In examining the OS, I’ve discovered a few things about this unit, and I’ll try and clear up some popular misconceptions about it. I have been getting a lot of failed sent messages due to the e-mail authentication of my hosting service. If you’ve been trying to contact me and have had no reply, it’s not because I’m ignoring you. Try sending your message again and I will try and reply asap. I haven’t posted in quite some time. The usual excuses apply: work, family, lack of motivation. However I have had numerous requests for a solution for the CEM5530 IC. I designed such a board back in 2000, and the bare PCB’s sat collecting dust in a drawer until somebody mentioned that I had some of them. Within a few weeks all 30 boards were gone (including the ones in my two Prophet VS’s). 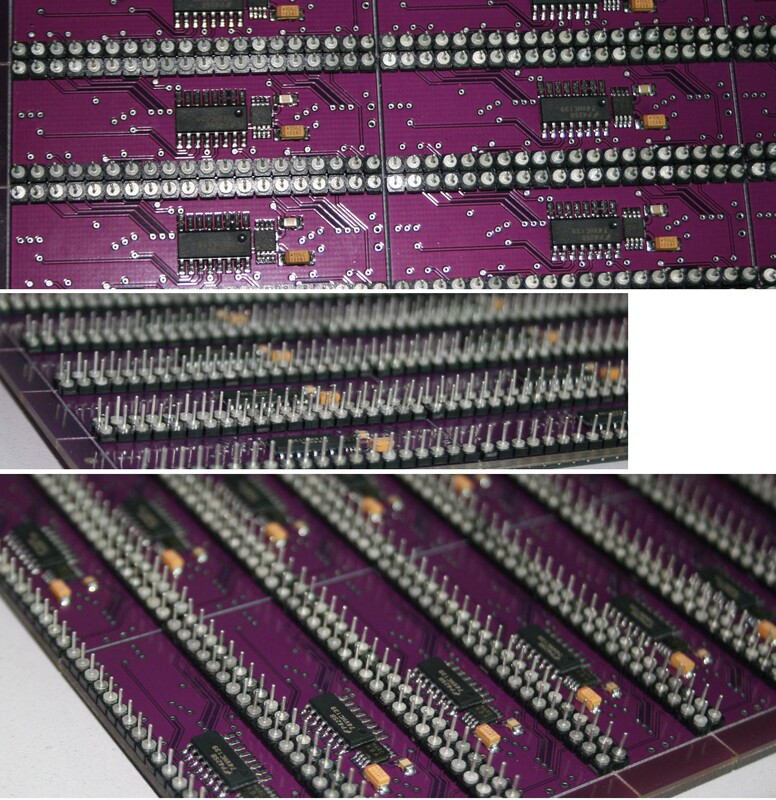 I had re-done the design as a 4 layer PCB to make it even smaller and the latest batch are built and assembled by a factory (instead of being hand assembled by me). The price of the boards is 50.00 each plus shipping. The DSM-1 project has stagnated a bit. However I will be revisiting it soon. The DSS-1 kits are almost sold out. As of today there are two left. I won’t be making any more until after the DSM-1 kit is done, the new DSS-1 kit will be based on the DSM-1 kit.